Over a 5 year period little by little tools that have helped me heal have been brought to my attention. I have yet to find a place where many of them are listed in one space for easy accessibility. What am I healing from? Abandonment, rejection, grief, loss & trauma from my adoption experience and from LIFE. With little to no resources available for adoptees I was on my own in finding healing tools that would work for me. I decided I would share the tools I have found to help me in hopes these tools can enlighten and help other adoptees somewhere out there. I have come into contact with hundreds of adoptees all over the world who are seeking HEALING & FREEDOM. 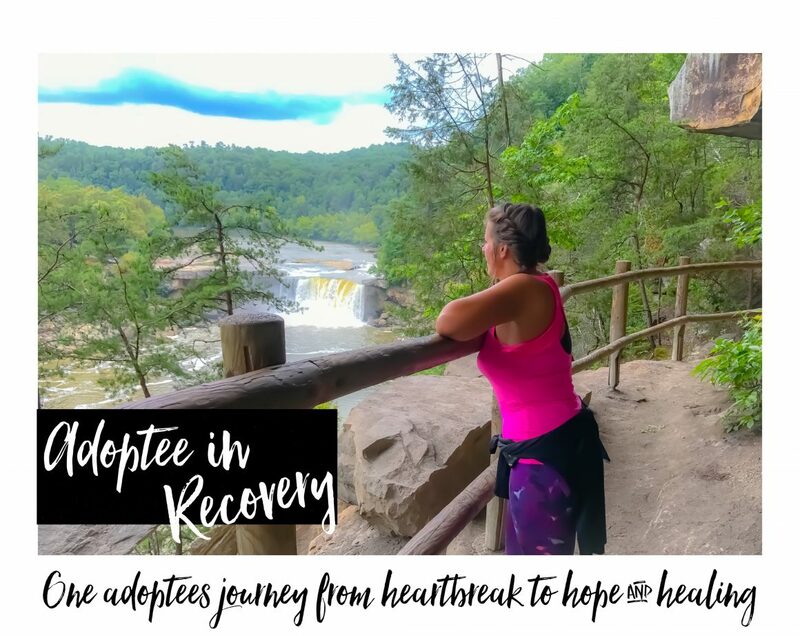 I ask them all the time, “What has helped you heal?” Sadly most of the time I hear, “Nothing!” Some are completely hopeless but I am here to give you a message of HOPE. I find it takes HOURS for me to share all the resources and most of the time I never can share them ALL. Now they are in one spot in hopes to sharing with MORE adoptees and adding as these tools come about. I realize not all those who might read this will have the same spiritual beliefs I do and that’s okay. I love you all the same. Please continue to read, not all are based on spiritual beliefs. First Thing First- You are STRONG! Please believe and know in your heart of hearts. I am here to tell you that YOU ARE STRONG. There is not one adoptee on the planet that isn’t a strong person. What we have experienced in life is nothing that a sissy could handle. IJS! I’m so serious about this. Write it down, put it all over your house. “I AM STRONG”. Repeat, Repeat, REPEAT. You are NOT Alone!- I hear this from adoptees from almost every single one that crosses my path. I felt this way most of my life. I am here to tell you today that YOU ARE NOT ALONE. There are an army of adoptees out here to support you! You just hadn’t found them yet. We are here. We aren’t going anywhere. Please believe you are not alone. Start using hashtag #adoptee and you will see. We are here. Acknowledging your anger, and turning it into Something Positive- Anger is a natural response to many things in life. Grief, Loss, Trauma, Hurt, Pain can all cause anger. If you are quick to label an adoptee as an “Angry Adoptee” please stop. Many of us are hurting and we don’t know of the tools to heal or have resources available. Try being understanding and listening without judgement. You just might learn something. Many people think anger is a negative force, but I must share I believe it can be something that’s positive when we can turn it into something “good”. We all have a choice on what we do with this emotion. It can be a very motivating force to create change, promote healing and to push towards goals and fixing problems in our lives. It’s critical to our healing process. Research Abandonment & COMPLEX- PTSD- Again, in order to heal I wanted to learn as much as possible of the impact on a baby when a mother leaves us. Please check both these articles out. I am sure there are many more. Abandonment from our birth mothers is a real live trauma. The more we understand it’s impacts the more we can heal. PTSD of Abandonment Part 1 AND PTSD of Abandonment Part 2 I’m positive there are more resources out there so RESEARCH Abandonment & PTSD! This is REAL for MANY ADOPTEES.